It should be free from the control of any authority so that it cannot be manipulated and printed at will (and devalued), and nobody can tell anyone what they can and cannot use it for. The currency should be borderless, so that it can be easily exchanged across any location with anyone. It should be apolitical, so as to not favor a specific system or group of people. In a nutshell, these (among many others) are the characteristics of bitcoin, which looks like an appealing alternative to any fiat-based monetary system. Bitcoin is the world’s first decentralized digital currency. Its value primarily comes from it being the first digital currency that no single person, organization or authority has control over. Anyone can buy it, anyone can receive it — and nobody can tell anyone what they can or cannot do with it. It is a money free from dictatorship, oppression and hyperinflation, and a financial safe haven for anyone living under those circumstances. It has a limited supply of approximately 21 million total bitcoins that will never be changed, and we know exactly how many are being released into the world at what rate, as well as approximately when the last bitcoin will be created. 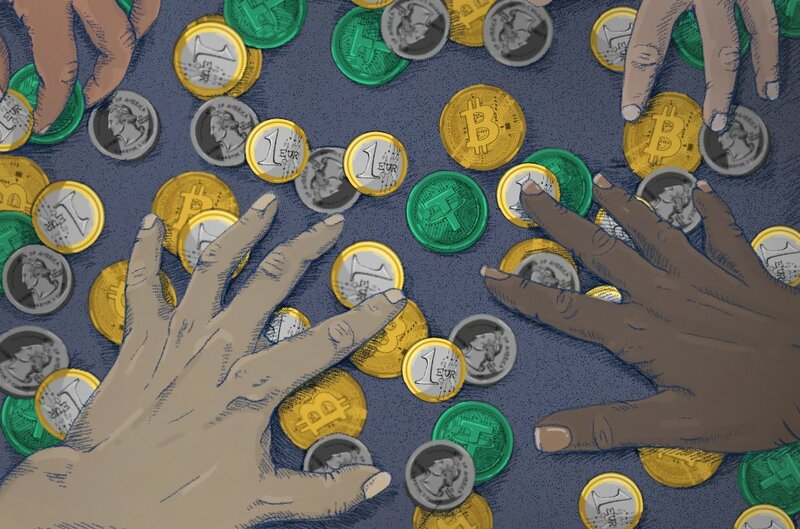 It is generally more difficult to understand why a decentralized currency is valuable to people who live in first-world countries because their society’s money is most likely very sound, or so it appears to be. In order for people in first-world countries to understand why bitcoin is valuable, they must recognize why the fiat money system is unsound. In reality, any money controlled by a central bank is not truly sound, when you consider the big picture. Generally speaking, governments have created monetary systems that allow them to manipulate the supply of their country’s money, assuring its value is backed by their word that it will always be worth something. The problem is that “something” has slowly been worth less and less since fiat money was taken off of the gold standard. The reason for this is simple: Governments like to spend more than they accrue from taxes and other income streams; so, by their own power, they print enough money for their needs. When more money is printed and put into an economy, it decreases the value of each dollar already in circulation. Bitcoin’s beautifully designed characteristics mean it is poised to have an impact in people’s lives in the most unstable economies (like Argentina and Venezuela, for example), where the government heavily manipulates its money. As a brief primer, countries like Venezuela and Argentina have experienced times where their governments printed so much of their own currency that their citizens were not able to spend it fast enough before it would lose value. This has happened multiple times in each country and, as a result, their entire monetary systems fell apart, and affected citizens had to find an alternative medium of exchange. People are entitled to freedom as a human right, and governments who ruin their own money arguably take away their people’s economic freedom. Their access to the same economic opportunities as the rest of the world is virtually non-existent, and thus the greatest thing they desire is a currency that can’t be controlled by a reckless central authority. He continues, “It is impossible to grasp the meaning of the idea of sound money if one does not realize that it was devised as an instrument for the protection of civil liberties against despotic inroads on the part of governments." Why Do We Use Fiat Money? The reason why most people accept our current monetary system is because it’s what we have and it’s what we have had for as long as we can remember. Because people alive today were born into the existing system of government-issued money, most of society has accepted that the gradual increase in price for everything from groceries to education is a natural phenomenon. It is hard to believe that prices will gradually increase forever, and coffee could very well be close to $20 per cup in 50 years (compared to the $2 average today and the $0.15 it cost in 1920). We accept that these increases are the natural result of inflation, which they correctly are, but the underlying reason why the inflation occurs in the first place is due to manipulations of a central authority. Unfortunately, when people are used to something for so long, they naturally find it hard to believe that a newer way might be better. These core flaws that plague the fiat monetary system do not exist in bitcoin. Bitcoin’s supply is fixed by code that all participants of the network agree upon. The distribution rate of new bitcoins into the world is fied and transparent, as is the approximate date when the last bitcoin will be created. Bitcoin also has no public face that can strongly influence the direction of the currency. It’s the correction of these flaws of our current system that bring value to bitcoin.